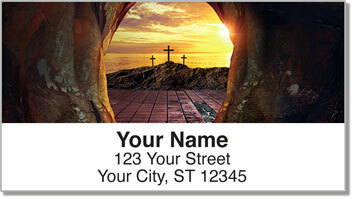 If your identity as a Christian informs every other aspect of your life, you'll love these Calvary Cross Address Labels from CheckAdvantage. 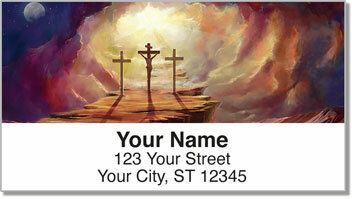 This enduring symbol reminds us that Christ has died, Christ is risen and Christ will come again. 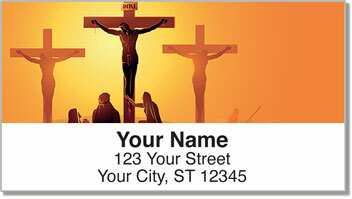 You'll find no other Christian label design quite like this on the worldwide web. 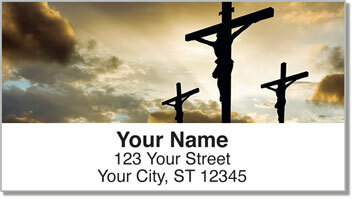 Also available as matching Calvary Cross Personal Checks, these brilliant photos stand as a stark reminder of Jesus Christ's ultimate sacrifice. Stock up now so you'll still have some left come Easter!